Luka Jovic praised Marco Reus as the Bundesliga’s best player following his impressive performance during Germany’s 1-1 friendly draw against Serbia. The Borussia Dortmund captain came on in the second-half for Kai Havertz and made an immediate impact as Germany looked for a response to Jovic’s early opener for Serbia at Wolfsburg. 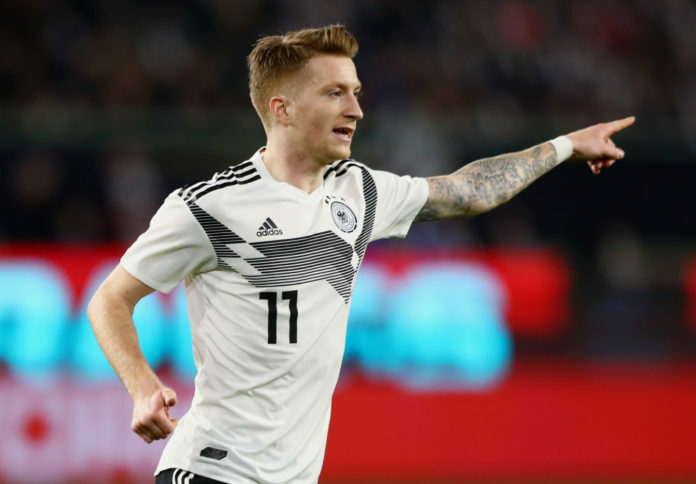 The visitors were able to contain Germany throughout all of the opening 45 minutes, but Joachim Low’s decision to introduce Reus paid dividends as the forward quickly set about exploiting the Serbian defence. In the 69th-minute, Reus then managed to set-up Leon Goretzka to smash home the equalising goal to settle the scoreline at 1-1. Speaking afterwards, Serbia’s Jovic gave Reus all the credit for crumbling their defence and stated his belief that the Dortmund star is currently the Bundesliga’s best. “Difficult question. Germany are a strong side. And when Marco Reus came on, we didn’t know what to do,” The Eintracht Frankfurt striker told DW. Die Mannschaft boss Low made a rather controversial decision heading into Wednesday’s friendly by pulling the curtain on Mats Hummels, Thomas Muller and Jerome Boateng’s international careers in favour of giving youngsters a chance. Niklas Süle and Jonathan Tah were selected instead in Hummels and Boateng’s old centre-back roles for Germany against Serbia. “Well, it was tough. I know both of them from the Bundesliga and they might be the best defenders in the league,” said Jovic on Süle and Tah. “Especially when it comes to headers, they are really strong in the air. It’s difficult to win any duels, especially for me since I’m not that tall. Jovic in the second-highest scorer in the Bundesliga this season with 15 goals in 24 games for Frankfurt. 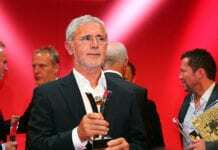 Quiz: How much do you know about Gerd Muller?